American bass-baritone Christian Van Horn has appeared with many of the world's most prestegious opera companies, including San Francisco Opera, the Metropolitan Opera, Lyric Opera of Chicago, Bayerische Staatsoper, the Salzburg Festival, Los Angeles Opera, Grand Théâtre du Genève, and Canadian Opera Company. His roles include the title role in Le nozze di Figaro, the Four Villains in Les Contes d'Hoffmann, Mephistopheles in Faust, Raimondo in Lucia di Lammermoor, Banquo in Macbeth, Colline in La Bohème, and Claudio in Aggrippina. Mr. Van Horn has also appeared as a concert soloist with the Berlin Philharmonic, Chicago Symphony Orchestra and the Los Angeles Philharmonic among others. During the 2012/13 season, Christian traveled to Perm, Russia, where he recorded the title role in Le nozze di Figaro with conductor Teodor Currentzis for Sony Classical Records (due for release in early 2014). He continued to Amsterdam to make his house and role debuts as Gessler in Rossini's Guillaume Tell with De Nederlandse Opera, followed by another house debut with Dallas Opera as Timur in Turandot. Christian continued the season with a significant role debut, singing his first Four Villains in Les Contes d'Hoffmann with San Francisco Opera. "Bass-baritone Christian Van Horn's resonant vocalism and suave, menacing presence animated Lindorf, Coppélius, Dr. Miracle and Dapertutto; the latter's 'Scintille, diamant' yielded an episode of focused brilliance." (Opera News, August 2013) The summer then saw him back across the ocean with the Gothenburg Symphoniker in Sweden for a concert performance of Ça Ira, written by Roger Waters. Christian will spend much of the 2014/15 season with San Francisco Opera where he will be seen in six different productions, including the company's season opening performances of Norma (Oroveso) under Maestro Nicola Luisotti. San Francisco will also hear Van Horn in two role debuts: Alidoro in La Cenerentola and Narbal in Les Troyens, conducted by Donald Runnicles. The remainder of his San Francisco season includes Colline and the world premiere of SFO-commissioned La Chociara by Marco Tutino. 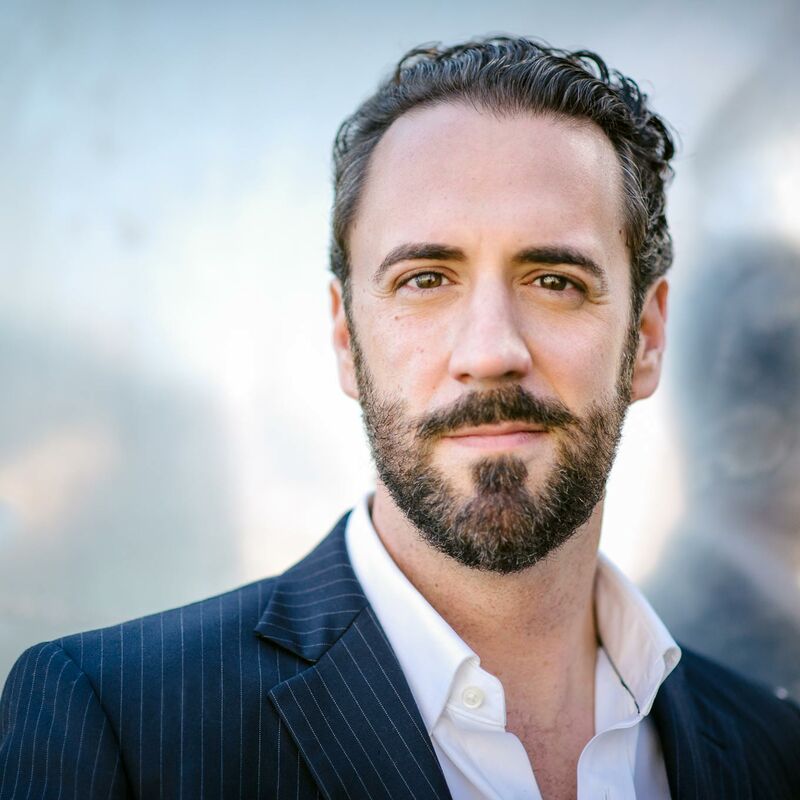 Christian makes his San Diego Opera debut as Colline in early 2015 and also returns to the Bayerische Staatsoper in Munich as Offenbach's Four Villains. The season is completed with concert performances and a recording of composer Joseph Summer's new opera, The Tempest, which Van Horn will headline as Prospero. In addition to the upcoming release of Sony Classical's Figaro, Christian Van Horn can also be heard on several previously-released commercial recordings. These include Bizet's Carmen with Sir Simon Rattle and the Berlin Philharmonic for EMI, a live recording of Beethoven's Ninth Symphony with Leon Botstein and the American Symphony Orchestra, and the world premiere of David Carlson's Anna Karenina for Signum Classics with the St. Louis Symphony Orchestra and Maestro Stewart Robertson. Christian may be seen on DVD in the Salzburg Festival's production of Roméo et Juliette, conducted by Yannick Nezet-Seguin (Deutsche Grammaphon) as well as in Christoph Loy's production of Lucrezia Borgia with the Bayerische Staatsoper for Medici Arts.